The facility from Greenstone, a private equity fund specializing in the metals and mining space, is available in up to five tranches and Northern Vertex has drawn the first tranche of US$2.5 million. The initial tranche is convertible into Northern Vertex shares at $0.30 per share and at Greenstone’s option will convert into shares or be repaid from the proceeds of the previously announced silver stream and private placement financings of Oct. 15. Northern Vertex’s open-pit heap leach Moss mine in Arizona is the newest mine in the U.S., reaching commercial production in September. In addition to the latest financing with Greenstone, which will be used for working capital and general corporate purposes, the private equity fund has also confirmed that it plans to participate in Northern Vertex’s previously announced US$5 million private placement. Greenstone is a significant shareholder and already owns about 51.76 million common shares of the company, or about 28.4% on an undiluted basis. If any of the initial US$2.5 million debenture is converted into shares, Greenstone would receive about 10.92 million additional common shares, which would increase its holdings in Northern Vertex to about 32.5% on an undiluted basis. The company financed the mine and completed construction in less than two years. Northern Vertex expects Moss will produce 32,000-36,000 oz. gold and 224,000-248,000 oz. silver (36,000-40,000 gold-equivalent ounces) in the 2019 fiscal year ended on June 30. Moss’s gold-silver stock-work, brecciated, low sulphidation epithermal system outcrops for over 1.5 km. 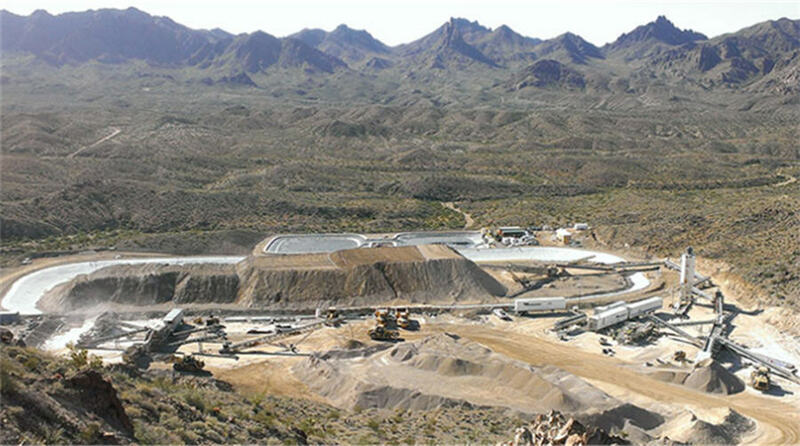 The mine, Northern Vertex’s flagship asset, is nine km from Bullhead City and eight km from a state highway. The company says it plans to become a mid-tier gold producer with over 200,000 ounces of gold production a year, and expects to achieve that goal through mergers and acquisitions. Under its stream financing deal with Maverix, Northern Vertex(TSXV: NEE; US-OTC: NHVCF) has agreed to sell 45% of the production from Moss at an ongoing payment price equal to 30% of either the average silver price for the calendar quarter or the spot price of silver at the time of the delivery, whichever is less. After Maverix(TSXV: MMX) purchases 1.5 million ounces of silver, the amount of silver it is entitled to buy falls to 22.5% of production for the remaining mine life.